Farid Ghannam, Moroccan singer, born March 5, 1988 in Morocco. Full report on the life story of Fred Ghannam, biographical information from Wikipedia and the latest news. Date of birth: 5 March 1988. Farid Ghannam was born on March 5 in Morocco. Is a member of the Mayara Band, the winner of one of the "Jill Mawazine" competition, which was recognized by the Arab audience after participating in "The Voice - the Sweetest Voice" on MBC, where Egyptian artist Sherine Abdel Wahab called it "strawberry" "And was invited by his friends before the program" Fred Miara ". Has been in love with music since he was six years old, despite the difficult family circumstances he experienced, after his parents separated and left him with his grandmother. After becoming a young man and forced to live on Moroccan streets for three years, Farid decided to form a band rather than a deviation, dubbed "Mayara Band". His top character in the art is the American jazz singer Al Jarreau. 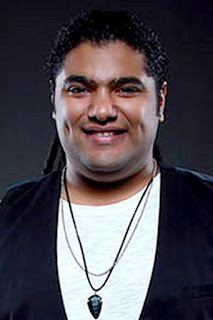 He is also a lover of young Khaled, and he has two songs in the program, "The Voice". Farid Ghannam, who has made millions of hits on YouTube, is one of the closest contestants to Shirin, who at the start of the program asked him to join her team, to cry together because he has a high sense of her. Farid Ghannam married one of his admirers, Rabab Azmani, who posted on a social networking site a photograph she had gathered with her sheep two years ago. "My first picture of strawberries, as one of my fans," commented Farid Ghannam.